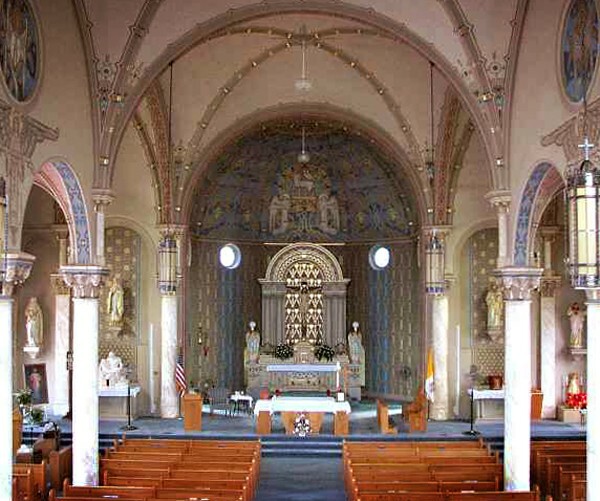 Beautifully romanesque in design, this historic St. Joseph Catholic Church in Damar, Kansas, is dedicated to the honor of St. Joseph, standing high on the Kansas plains as a sentinel guarding its flock. 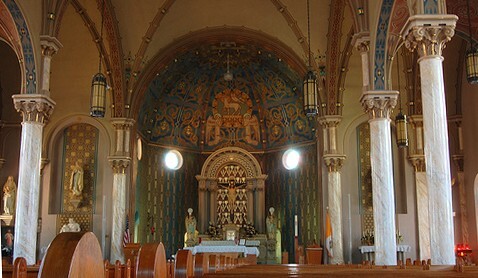 Through all these years, everyone who has toiled in town or in the fields did so in the sight of its crosses held high so all could see. 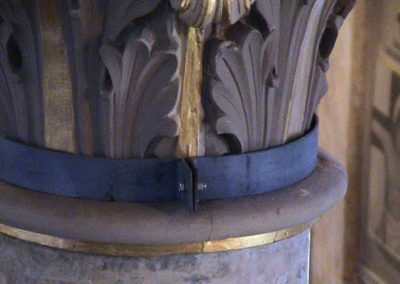 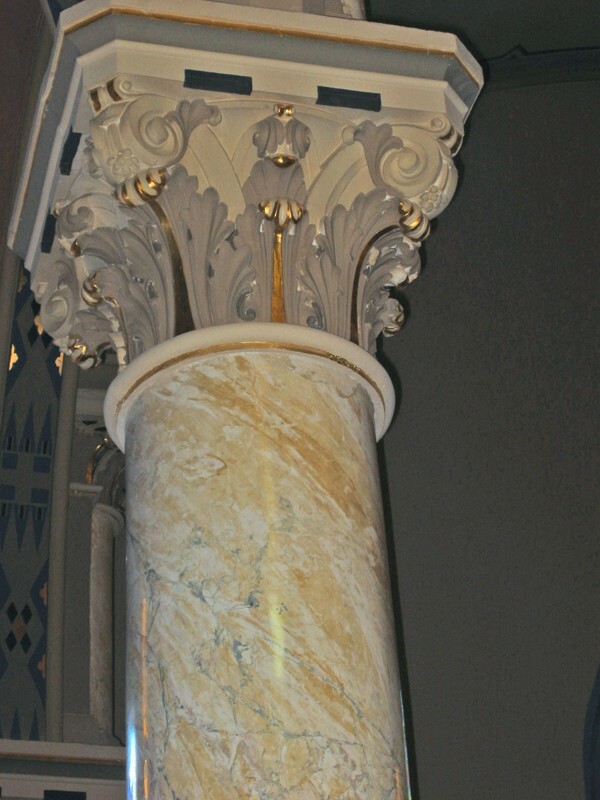 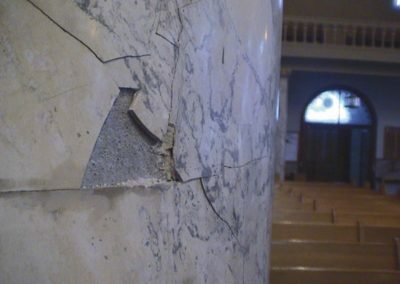 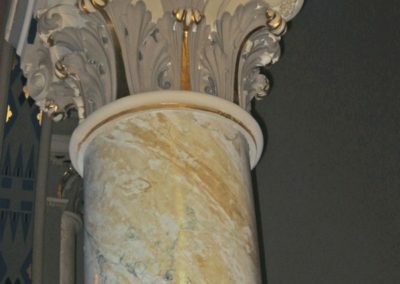 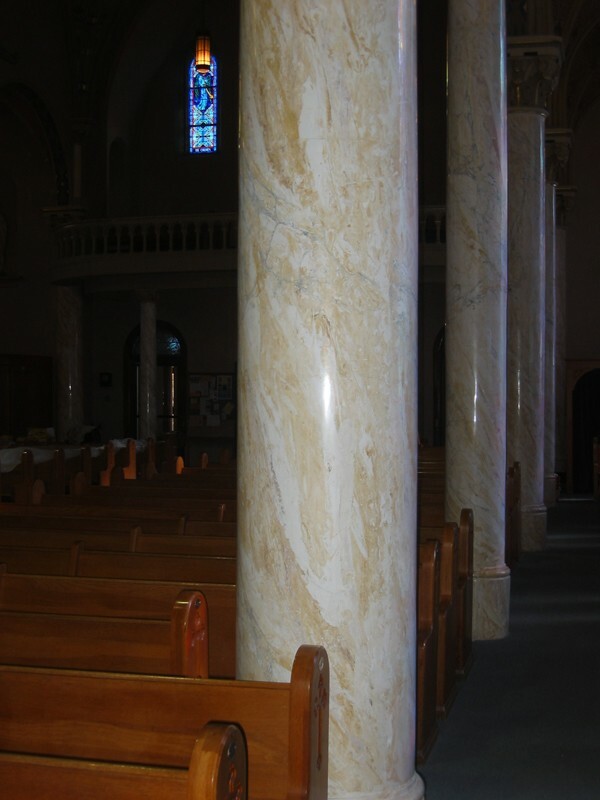 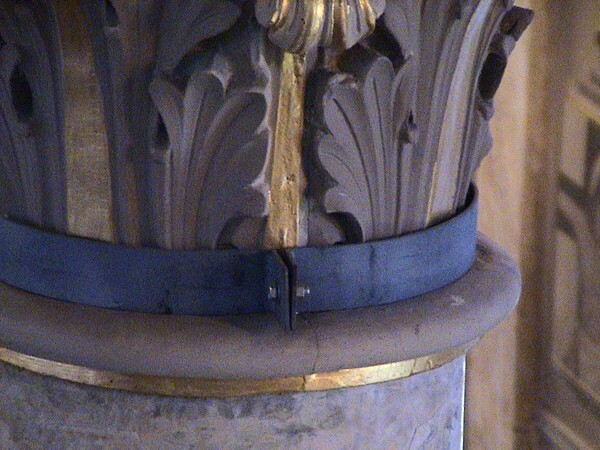 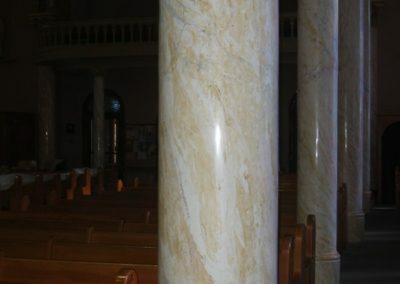 The interior restoration of the church included decorative painting and extensive repair work to the damaged scagliola columns, which have now been returned to their splendid beauty.